Prime Minister Dmitry Medvedev has denied the existence of any serious reasons for the possible start of a "cold war" between Russia and the United States. 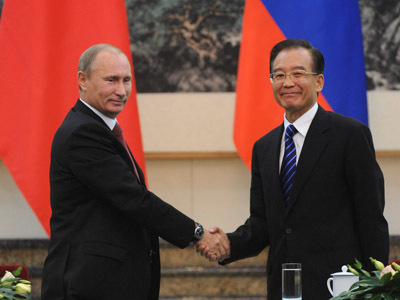 "There is no cold war and there are no conditions for it,” Medvedev bluntly said in an interview with Brazil’s TV Globo. While admitting relations between Russian and the United States can and do become tense from time to time, the Russian PM believes the situation ultimately depends on the administration and the government teams that are in power on both sides. To prove his point, Medvedev cited Washington’s passage of the so-called Magnitsky Act, which the premier criticized as an “anti-Russian” document. 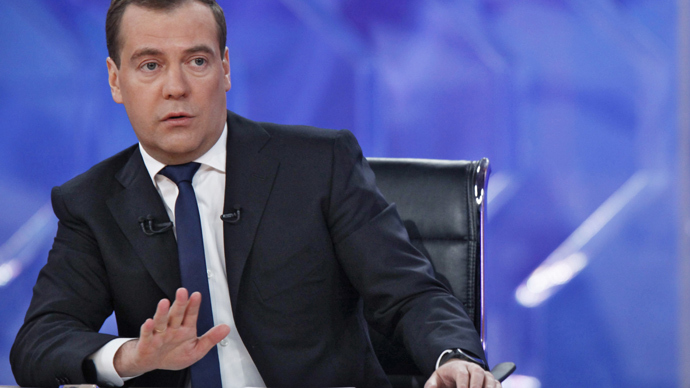 "This subject has been totally politicized and contrived,” Medvedev said. “It is a situation where a previously document, an anti-Soviet document [the Jackson-Vanik amendment], has been replaced by a document of an obviously anti-Russian nature." The Russian PM lamented the fact that a small group of “individual adventurers” in the United States were able to take advantage of an unfortunate incident in one person’s life in order to pursue their political and commercial ambitions. “It has nothing to do with us personally, but, to my regret, it puts a strain on our relations with the U.S., which we would not like to have happened," he said. The Magnitsky Act, which US President Barack Obama signed into law in December, makes it possible to deny American visas and freeze the assets of Russian nationals who US officials say are complicit in the death of Sergey Magnitsky, the former accountant from Hermitage Capital who died in prison in 2009 while being investigated in a massive tax fraud case. Meanwhile, there are other issues that continue to hamper Russia-US relations, including the welfare of Russian orphans who have been adopted into American families, some of who have met with a tragic fate. 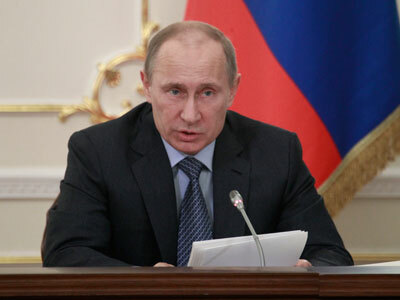 In December, President Putin signed the Dima Yakovlev Law, which imposes a ban on the adoption of Russian children by US parents. Russia has also toughened laws regulating the activities of non-governmental organizations that receive their financial support from abroad. 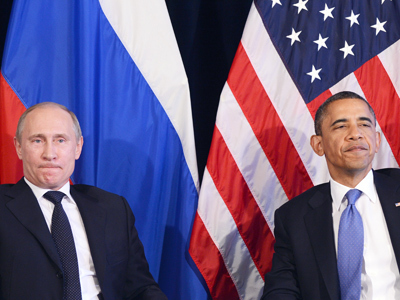 There also remains the question of a US missile defense system being built in Europe. Moscow says that without Russia’s cooperation in the project, the strategic balance will be destroyed and “another arms race” will be inevitable. Despite these challenges, Medvedev is confident that Moscow and Washington will find the political will to keep bilateral relations on track. In wrapping up his comments, Medvedev encouraged his listeners to visit Russia for themselves in order to form their opinion of the country. "I advise you not to form your opinion on events in Russia judging only by newspaper articles, TV reports or news on the Internet,” Medvedev emphasized. “You should come and see for yourselves what is happening in our country, what tendencies prevail there: whether one can say anything he wants, whether any problems exist with freedom of speech or any other freedoms."